With drivers and vehicles becoming ever more connected, telematics enable insurers to see and manage risk in powerful new ways. 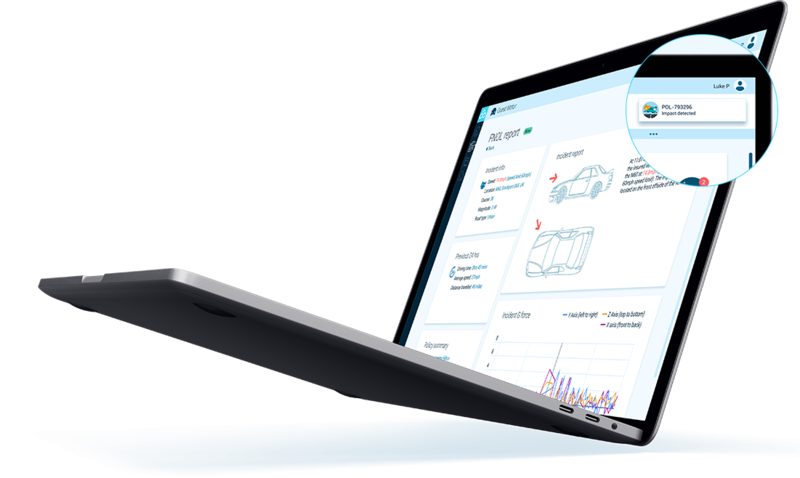 Quest Motor brings multiple connected data sources together into one, simple, easy to use application and analyses them for new insight. With a clear and real-time understanding of driver behaviour and risk, insurers and brokers can select and manage risk more effectively, encourage safer driving behaviour and act quickly to mitigate losses. Corner braking, speed, rural exposure or night driving are far better indicators of risk than where a driver lives or the value of their vehicle. 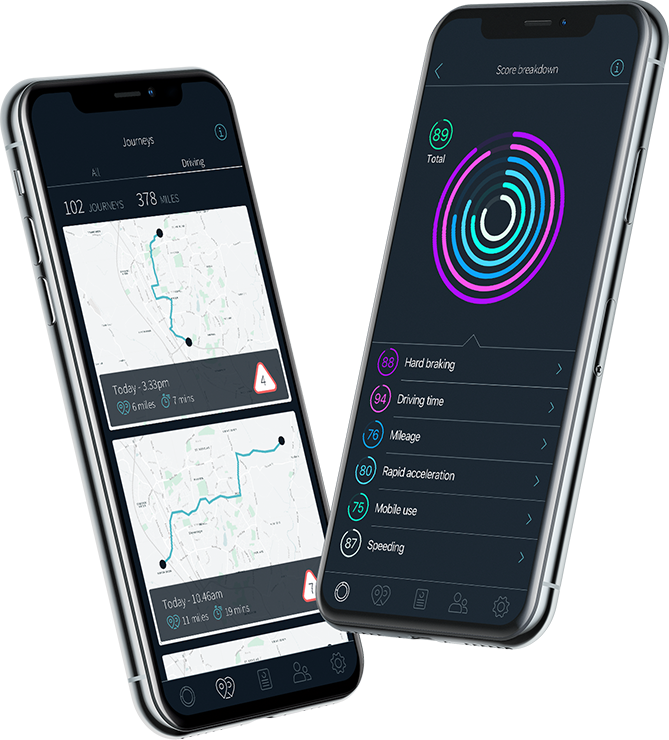 By taking in data from physical telematics devices, the Quest Mobile App, as well as other connected datasets such as traffic patterns, local weather and anonymised national data collision data, Quest provides a clear view of risk to insurers and brokers. This means they can select and manage risk more effectively, resulting in increased profits. Quest alerts insurers to speeding, fast cornering, tailgating and other dangerous behaviours. With this information at their fingertips, insurers can work to encourage safer driving behaviour amongst their customers. 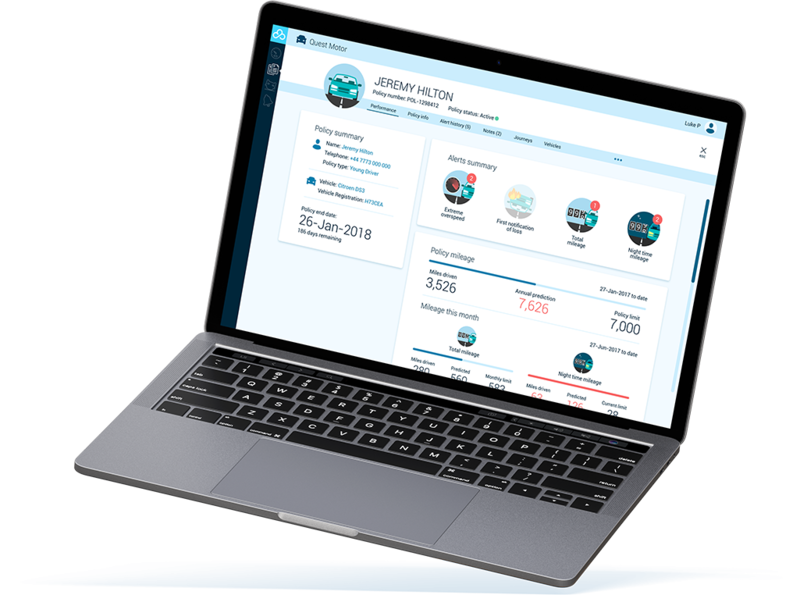 What’s more, Quest also comes with a mobile app for drivers, which can be used as both a telematics device, as well as a way to communicate directly, and automatically, with customers. Not only does this reduce risk overall, it also helps insurers to strengthen their relationship with their customer. Using the latest telematics devices and mobile smarts, Quest provides real-time alerts for collisions so insurers and brokers can act quickly to mitigate losses. These alerts also means a smoother and more efficient service for their customers. Quest works with a range of different hardware options and is quick and easy to set up and use. If you want to manage risk more effectively and build stronger relationships with your customers, contact us to discuss your requirements.